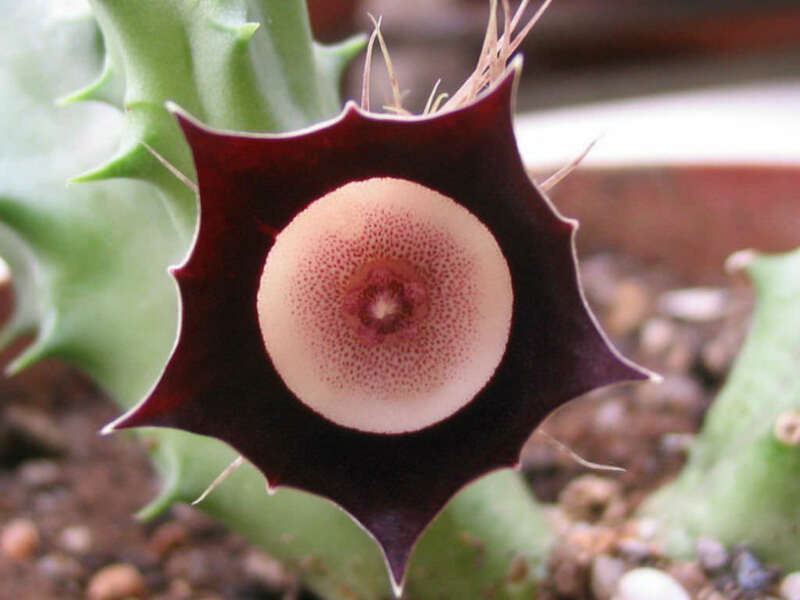 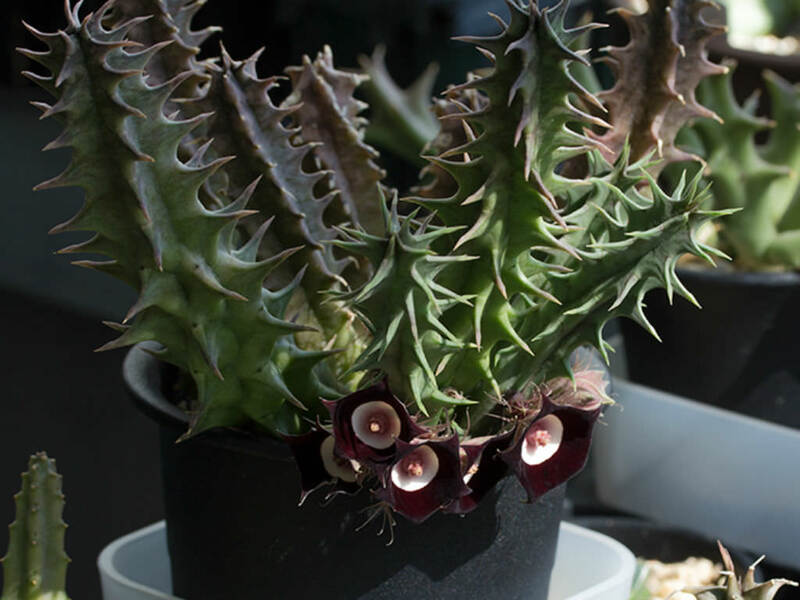 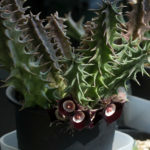 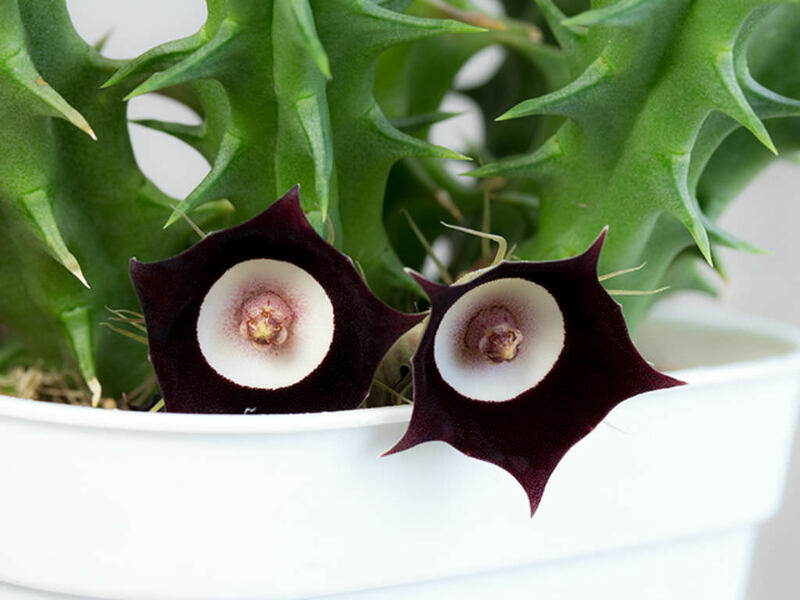 Huernia oculata is a dwarf succulent plant with very unusual flowers. 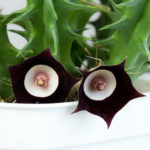 Stems are stout, slender, glabrous, erect or somewhat sprawling, 5-angled, strongly toothed, up to 4 inches (10 cm) tall and up to 0.4 inch (1 cm) in diameter. 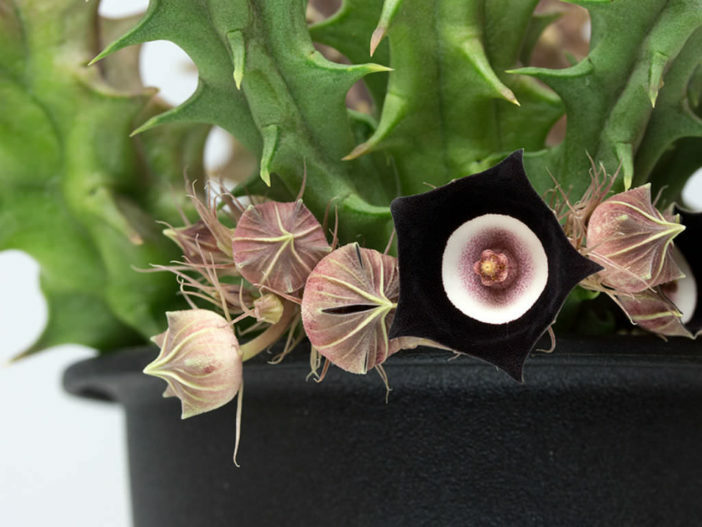 Flowers are up to 1 inch (2.5 cm) in diameter and appear in late summer to early autumn. 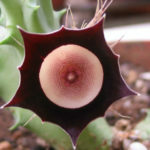 The 5-lobed corolla is black-purple or brown-black, with pure white center.